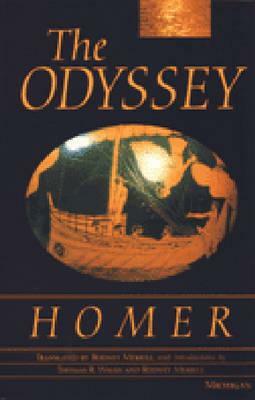 The Odyssey is considered to be one of the greatest pieces of world literature. Its basic story--the homecoming of Odysseus--is widely known. Although it has often been translated, earlier versions do not give the reader the full sense of its oral epic nature as a song that came into being through a long tradition of sung performances before writing was widely practiced. When finally written down, it retained its oral-formulaic nature in ways that are clearly discernible, and which this translation successfully captures. Rodney Merrill strictly adheres to the use of dactylic hexameter, the meter by which the formulaic language of Homeric poetry is rendered as musical phrasing rather than as a simple repetition of ideas. Reading this version--especially aloud--will grant both students and teachers fresh insight into the nature of Greek epic and Homer's song about one of the most famous characters of all time. This epic began life as the music composed by a singer of tales, not as words on a page. As such, its meter allows for pleasing variations with a strong basic beat, thus providing a rhythmic impetus that carries the story swiftly forward. The resulting music has important repercussions for the reader's perception of the many repeated elements that provide structure for the poem and bring out significant themes, just as the repetitions in a piece of music do. This edition of the Odyssey includes selections for further reading, a list of proper names (with a guide to pronunciation), and three maps. It also provides introductory discussions of how the work came into being and was transmitted until it became the work we read, how it is divided into six performance sessionsof four books each, and how the poem's various themes are developed. Rodney Merrill's Odyssey is thus an ideal edition for students, teachers, and general readers. The audiobook is available on twelve cassettes, and is read by Rodney Merrill. This version will bring Homer's epic masterpiece to life like never before. Perfect for the car or classroom Rodney Merrill is retired and an independent scholar. He has taught at Stanford University, the University of San Francisco, and the University of California, Berkeley. Thomas R. Walsh, Senior Professor at Occidental College, has written articles on Homeric poetics, with a forthcoming book on anger in Homer.